Check Tiger Zinda Hai review and movie rating. 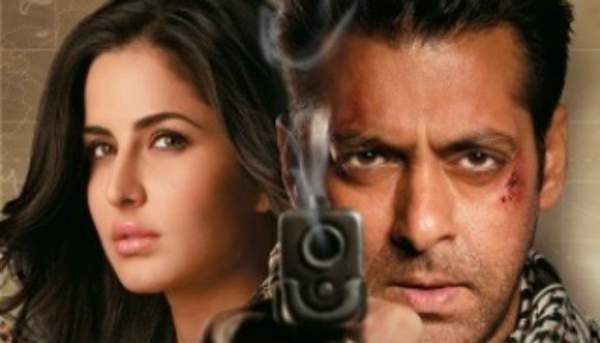 Salman Khan and Katrina Kaif have returned for the sequel to the 2012 Bollywood hit film Ek Tha Tiger. TZH has got an amazing advance booking. As a result, it is going to break all-time records in India as well as overseas. It releases on December 22, 2017, but has already released in the UAE. Speaking of the Dubai, it has witnessed around 80% occupancy on its first day. Now, you can imagine all by yourself. Tiger ZindaHai movie is definitely going to experience a record-breaking box office opening worldwide. It is expected to surpass Sultan first day collection (Rs. 36.54 cr) at the domestic level. The Salman-Katrina films have always been hyped every time. The 1st day box office prediction of TZH may go close to Rs. 80 cr, all thanks to the craze in the masses. One of the prediction reports that the first-weekend collection may reach up to Rs. 400 cr (worldwide). It’s because moviegoers and the fans of Salman and Katrina are eagerly waiting for it to be released. They were last seen together in a film in 2012. The latest Bollywood film, TigerZinda Hai is based on a real-life event when India’s diplomatic corps took help from intelligence agencies and carried out a secretive rescue of 46 Indian nurses. Islamic State group in Iraq had taken them as hostages. In the movie, the protagonist rescues 25 Indian nurses who had been held captive by a terrorist organization. The Ali Abbas Zafar directorial is already faring very well in the UAE. Here, we have some of the feedbacks/audience responses right from outside the theatre itself. Review till Interval- It’s a top class Wahiyat film, where Raw n ISI do joint operation in Iraq to save Pakistani and Indian nurses. Director Ali is asking Indians n Pakistani ppl to become friends, with 30% English dialogues. Means Indian public won’t Like this film at any cost. #TigerZindaHai a #MustWatch we are watching the first day first show and it is superb! If you are a @BeingSalmanKhan fan then watch. If you aren’t then you must must watch.. you will love it I assure. Interval ~ One after one Stands out, Whistling, Clap worthy Dialouges. Audience getting Connected From Every Scene. Hope 2nd Half also as Brilliant as 1st. First Review #TigerZindaHai from #UAE !! @BeingSalmanKhan& #KatrinaKaif Terrific Performances + Full on Racy Story & Screenplay + High Octane Action + Superhit Songs + Mindblowing Climax = BLOCKBUSTER all the way !!! 1/2 ! It is expected to cross the mark of Rs. 80 cr worldwide. The actual report will be updated by the end of the day.